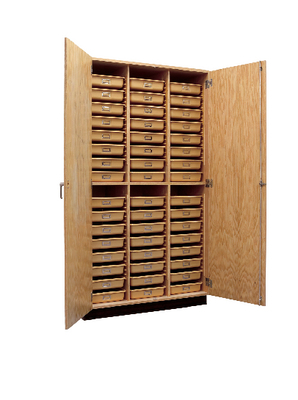 This sturdy cabinet holds 48 tote trays, making it a great choice for lab organization. It is made of oak veneers with a chemical-resistant finish and hinged, oak-veneer doors. 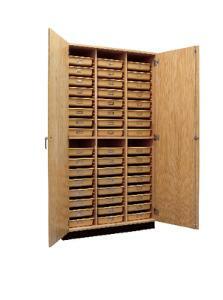 One cabinet weighs 350 lb. Anchoring cabinets to a wall or to other cabinets to improve stability is recommended.